The business was started in 1946 by the present managing director's father, M.W. Stevenson Gibson. It was operating under the previous owner's name, McGregor. The principal business activities in those days consisted of the retail of radios, retail and charging of batteries and the under‑taking of electrical contracting and repairs. In 1963 the legal status of the business was changed to that of a limited company, being incorporated on the 10 May 1963. The records reveal that Steven Gibson died on 27 October 1964 and his position of Managing Director was assumed by his son, Jack Gibson, who has remained the Managing Director ever since. 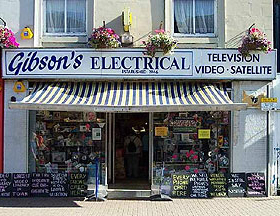 Nowadays, we specialise in a huge range of electrical items from DVD Recorders to LCD Televisions, Sky television, Roberts Radios, Dyson cleaners, kettles and toasters to Zanussi washing machines and tumble dryers, and all the latest technologies and gadgets, such as Computers, Laptops, Printers, Digital Cameras, Blu-Ray and HD. We also stock an extensive range of recordable media, such as camera memory cards, CD and DVD media, and digital camcorder cassette tapes. 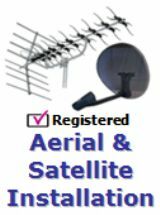 In addition to our retail operation, we install satellite dishes and we are members of the Confederation of Aerial Installers [C.A.I.]. We carry out all sizes of electrical contracts from wiring additional electrical sockets to full house re-wires. We are members of S.E.L.E.C.T. and the N.I.C.E.I.C. and N.S.I. which insures that we install intruder alarm systems to the highest standards. We are also registered Scottish Building Standards. At Gibsons, we believe that customer service is the most important factor in our success - we understand that you want to be looked after and given the service that you deserve.